The year was 1851, and her name was Eugenia. A simple pastors daughter with a dream for friendships that held each other to a higher standard fought for each other, and never let each other settle for status quo. She wanted to form more than just friendships in college, but a sisterhood. The very first secret society for women was founded by a hopeful and ambitious college freshman with a dream. She was away from home for the first time in her life. Her parents did their best to give her morals but when she left home, her choices became her own. The class load left her with little free time, she felt isolated yet overwhelmed with responsibility. What career should she choose? What classes should she take? Will she get married when she graduates? Do these questions sound a lot like the questions faced by every college girl still today? Eugenia realized she can’t do this college life alone. She needed community. She needed sisters. On a quiet night in May, after much prayer and deep thought, she began something extraordinary. Eugenia Tucker Fitzgerald and 5 of her dearest friends formed the first secret society and called it the Adelphean (later changed to Alpha Delta Pi). This was something brand new. There was nowhere else to look to for “how do we do this?” But I have a good feeling Eugenia wouldn’t have looked to others even if she was not the first. To determine how her society should run, she only had to look to one place for a reason why. Noble character, true friends, and women who honor and seek the Lord with their everything; this was the makeup of our founding members and the criteria for future generations to come. Our founding sisters had dreams that were much bigger than theme parties and cute T shirts. Imagine a friendship that fights for each other, protects each other, picks each other up when we fall, and never let us settle for less. Imagine friends that see better in us than we see in ourselves, and never let a friend go home with some stupid boy (but seriously). Imagine friendships where you are loved not in spite of your flaws, but loved even more because of them. Imagine friendship where you are inspired to be the best you, your friends already believe you are. I wish for you friends that don’t simply agree if you’re making poor choices, but lovingly tell you the truth you need to hear. I wish for you friends that see the potential in you and never let you settle for less. Just as iron sharpens iron, I pray your friends love you so much you can’t help but grow into the world changers they see in you.I pray for a friend that lovingly hugs you when you realize that guy is not best for you. May your dear friends challenge you to become whole and complete, learning about the love from Christ before you try to give or receive love from another. I pray for friends that tell you when you have stuff in your teeth, laugh at your jokes, and encourage you to be brave. May your best friend light the way on this road less traveled becoming a young woman after God’s own heart. More than I wish you have this type of friend, I pray you BECOME THIS FRIEND. Dear sorority friends, this is true sisterhood and the dream of all your founding members. Friendships like this are rare, beautiful, and the kind that spur each other onto world-changing potential. Friendships like these are worth fighting for. In fact, they are more than friendships, they are more like sisters. 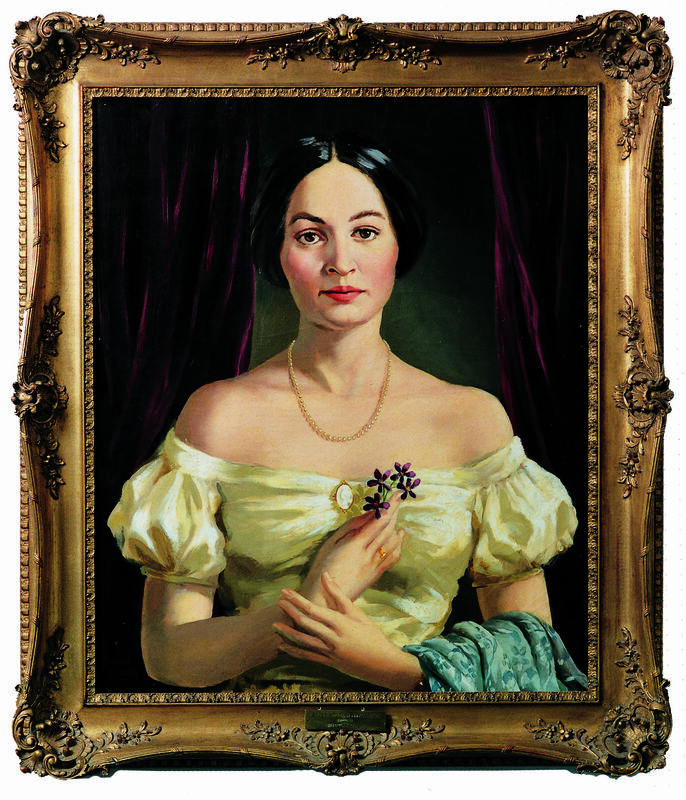 Today, over 150 years after Eugenia’s death, sororities are 9 million women strong with 26 different Panhellenic represented organizations. It all started because a simple girl wanted to walk in community with girlfriends who encouraged each other to become the best version of themselves. The outfits are now cuter and the hairstyles require fewer bobby pins, but at the root of each sorority, you still find the same desire for community and sisterhood. Sorority sisters, let’s get back to our roots, let’s sharpen each other, let’s change the world.